Photo courtesy of Mel Fisher. We’re fascinated by local treasure hunter Mel Fisher and his 16-year long search for the sunken Spanish galleon Nuestra Señora de Atocha. Yet we’re even more fascinated by what he recovered from the 1622 shipwreck off the coast of Key West - tons of gold and silver, intricate necklaces, rings and pounds of jewels, some of which are on display at the Mel Fisher Maritime Heritage Museum. 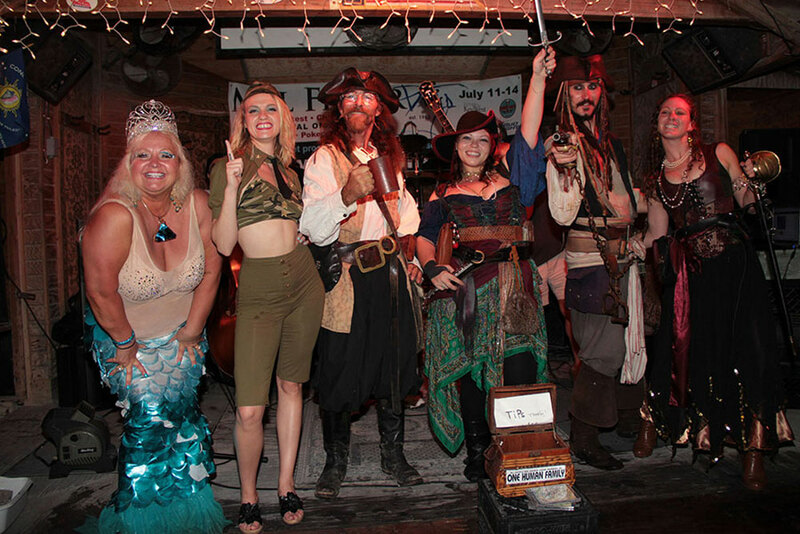 Each year, Mel Fisher and crew celebrate that famous discovery during the annual Mel Fisher Days, a three-day event in Key West benefiting the charity Wesley House Family Services, which helps families throughout the Florida Keys. Here are the events that we’re looking forward to during the 2017 Mel Fisher Days, happening July 13-15, in Key West. After the Atocha’s treasure had been sitting on the ocean floor for over 300 years, Mel Fisher and crew knew they would have to be very careful in preserving it. That’s why they built a conservation laboratory. And during Mel Fisher Days, they give VIP tours of those facilities. Here you can see the conservation processes in-depth, as well as plenty of recovered treasure. Saturday, July 15, 2017, 3-9 p.m. This annual party celebrates the discovery of the Atocha. And what a discovery it was - 40 tons of gold and silver, as well as 70 pounds of emeralds. With a such a long search (and costly one - Fisher lost his oldest son and daughter-in-law in one of the expeditions), it’s only right that the celebration party does it justice. At the Schooner Wharf Dock Party, there will be meet ‘n’ greets with the crew that discovered the wreck, as well as Mel Fisher’s original treasure salvage vessel, the JB Magruder. Saturday, July 15, 2017, 4:30-7 p.m.
At the Schooner Wharf Bar dock, you can take tours of Mel Fisher’s treasure hunting vessel, the JB Magruder. On board, you can see the equipment used in the search, the maps, the wheelhouse, how they stored the treasure, and even talk to some of the original crew. It’s said they have some great stories. Make sure to ask! Mel Fisher Days run from Thursday, July 13 through Saturday, July 15, 2017. Come join us!